Frankly, I was dreading attending HIMSS this year. I’ve grown tired of the hype, the noise and just how little we have accomplished as an industry in the past few years. We have not contained costs, but have increased clinician burnout. We have made only a modest impact on quality, but the lack of interoperability has hampered care coordination. I had become increasingly cynical every year as we approached the big event, dreading more of the same, which is never a good thing. Yet at the outset, while waiting to board my flight to Orlando, I started meeting many a compatriot in healthcare IT. This did not stop until I landed back in Boston five days later. Those brief meetings always included a hug, checking in with how each other is doing personally and then proceeding to talk about the industry – in that order. I have worked in a wide range of industries over the course of my career, only in healthcare have I experienced such genuine warmth and caring. These brief encounters renew my spirit pushing that cynicism back for this industry is more than just a business, it is about health, and it is about life. 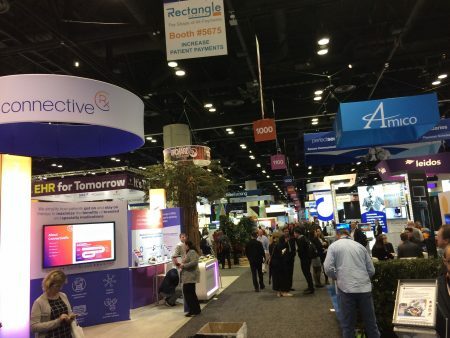 For the last eleven HIMSS conferences I have attended, there has always been one buzzword or acronym that virtually all vendors on the exhibit floor would latch onto, whether they could deliver those capabilities or not. There was no such word or acronym this year. The hype, the buzz may be behind us, which is welcomed by this analyst and I’m sure most in attendance. I also noticed that conversations were less about whiz-bang features. Instead, conversations focused on specific problems that can be solved and value delivered to an organization. The industry is quickly moving beyond being strictly regulatory-driven (albeit CMS’s NPRM dropped Monday at HIMSS goes against that) to a more pragmatic market, which is a healthy sign of a maturing industry. It was clear this year that the EHR war for buyers is over. Those EHR vendors offering a fairly limited, EHR-centric product with few extensions (e.g. analytics, RCM, PHM, etc.) were eerily quiet. EHR vendors with broad capabilities had their fair share of visitors, but the discussions focused on the extension apps and equally important, how to extract value from those significant EHR investments. In speaking to one of the largest EHR vendors, they were surprised by the interest in PHM among their clients, which has been tepid in recent years. Clearly, CMS’s recent moves to get provider organizations to get serious and start taking on downside risk are being felt. But this vendor went on to say that most prospects simply want someone to tell them what to do to be successful. For companies like Aledade and Evolent this must sound like mana from heaven. Acute and ambulatory have been by and large taken care of, yet we still do a very poor job as an industry addressing the “community of health.” Good opportunity for a truly visual, intuitive platform. Ada Health, a Berlin-based small company using AI for self-triage is just entering the US market and has landed Sutter Health as its lighthouse customer. Keep an eye on them – they are interesting. Significant shift among provider-centric vendors who are now signing large deals with payers. Still plenty of mistrust between providers and payers, but if incentives are aligned – it can work. Collective Medical out of Utah has been operating in stealth mode and racked up several payer and provider clients. Compelling value-prop but they will have to move fast as several much larger vendors are looking to do something similar. Many a large health IT vendor does a poor job at data aggregation and digestion (normalization) and are seeking partnerships with a number of small innovative companies that focus on this problem. Apervita, a company that has been around for several years with a business model I never was fond of has completely changed direction. I like what I saw at HIMSS this year. Their work with NCQA is pretty impressive. HIMSS this year reflects a maturing market. With any maturing market, conferences like HIMSS begin to lose their luster, despite their own self-promotional hype. 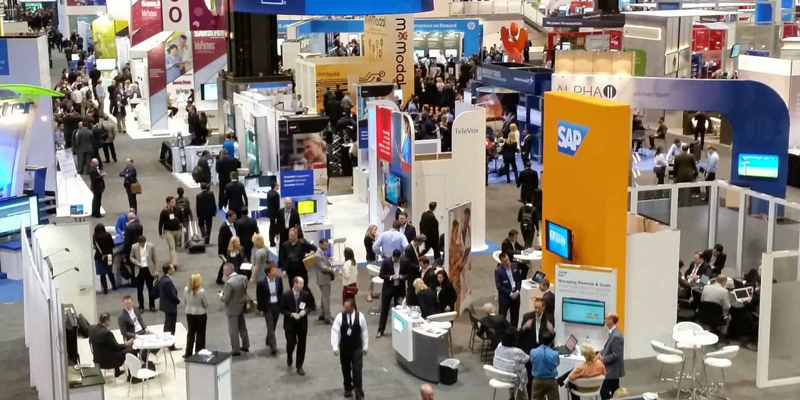 But what HIMSS does well is to bring together a broad cross-section of the industry and remains a fabulous place to reconnect and network. Does it need to be three and a half days (plus! ), I do not believe so. In five years, HIMSS will still be here, but the high water mark was likely last year (barring any major federal incentives a la HITECH). The tide is going out.